Best Dialysis Solutions for you. 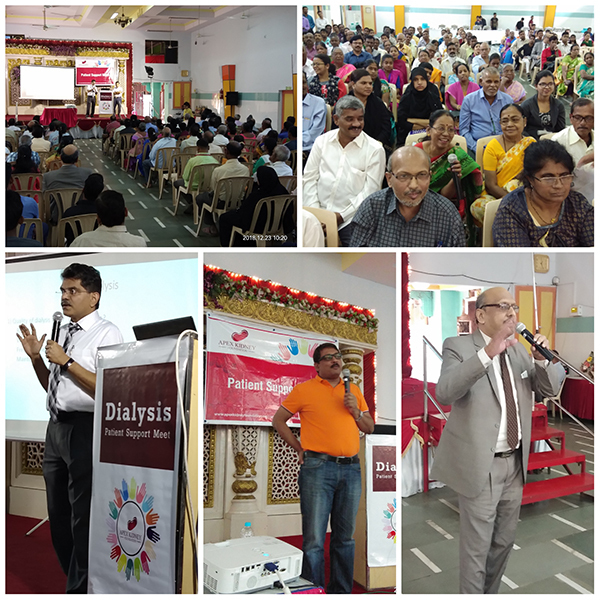 A patient support group meeting was organized by Apex Kidney Foundation for the dialysis patients of Lalbaug Cha Raja charitable dialysis centre. This meeting was held on 23rd Dec 2018 from morning 9:00 am to 2:00 pm. In the beginning of the program, breakfast was served to all the patients, relatives and staff members. This was followed by lectures by doctors from Apex Kidney Care. After these lectures, a quiz session was held and the winners were felicitated. Toward the end of event, secret santa was arranged to give gifts like stress balls, tourniquet belts, Water bottle to all dialysis patient along with informative brochures. Copyright © 2017 Apex Kidney Care Pvt. Ltd. All right reserved.